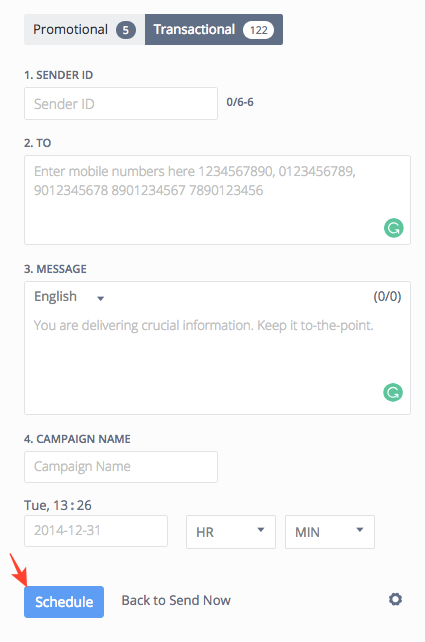 Compose your message by the regular method by clicking on Send SMS or Send Custom SMS. 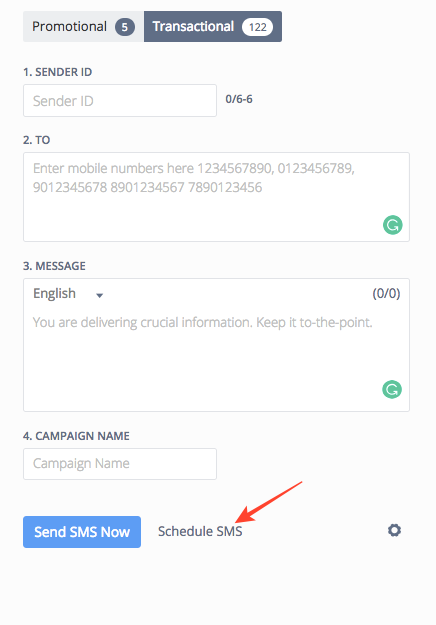 After composing your message click on the Schedule SMS button. Select Date, Hour and Minute according to which you wish to schedule your SMS. Click on Schedule. The balance required to deliver these SMS will be deducted at the same time. Your message will be delivered on the Scheduled date and time. You can find the delivery reports of your schedule SMS on the Scheduled tab of the delivery report. If you cancel the Scheduled SMS the credits will be refunded to your account instantly.